Lara is a good example of Portmore’s uncompromising approach to patient care. Her dedication has won her several clinical and academic accolades including the Kings College prestigious ‘Academy of Operative Dentistry Award’ for clinical excellence and the Alfred Woodhouse Prize for academic excellence. She first graduated from the University of London with a BSc first class honours in Molecular Biology and Human Genetics and qualified as a dentist with honours from King’s College London in 2013. Lara is consistently updating her clinical skills and staying current with academic research in her fields of interest. This enables her to offer patients the most advanced and appropriate dental treatments. She has further qualifications in short-term adult orthodontics and recently completed her MSc in Restorative and Aesthetic and Dentistry with distinction from the University of Manchester. Her special interest is cosmetic and restorative dentistry, enabling her patients to achieve their ‘own dental confidence’ by listening, engaging and tailoring each treatment plan to achieve the best possible outcome for each individual patient. 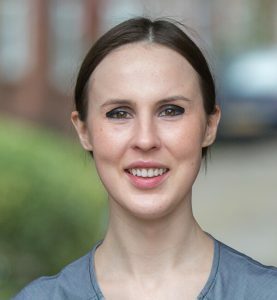 Lara’s calm, confident and gentle approach to patient care enables her to gain the trust of patients and practice the highest quality of evidence-based dentistry in line with Portmore’s philosophy, with a strong emphasis on prevention and patient education.